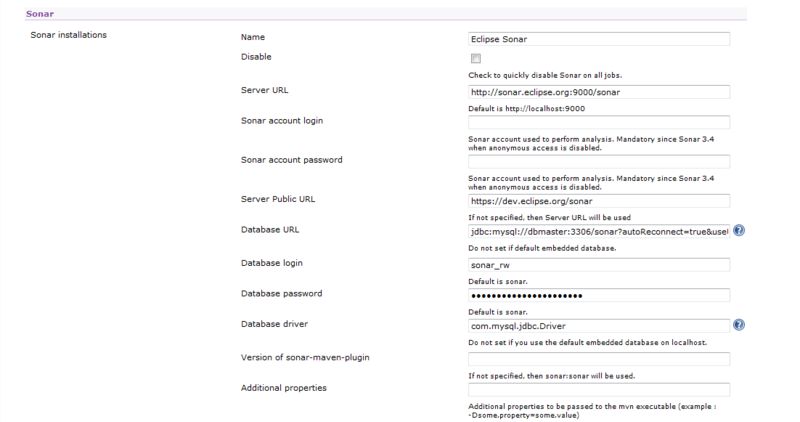 Sonar is currently (and will remain) public to all and by default only Eclipse Webmaster can administrate the analysis projects. If you need admin permissions on some analysis projects, drop a bug on [https://bugs.eclipse.org/bugs/enter_bug.cgi?product=Community&component=Sonar bugzilla], specifying which analysis projects you want to administrate. The name of the analysis must be close enough to the . If you are not the project lead your project, don't forget to ask him to +1 your request. The admin permissions will be granted for all committers on the project.